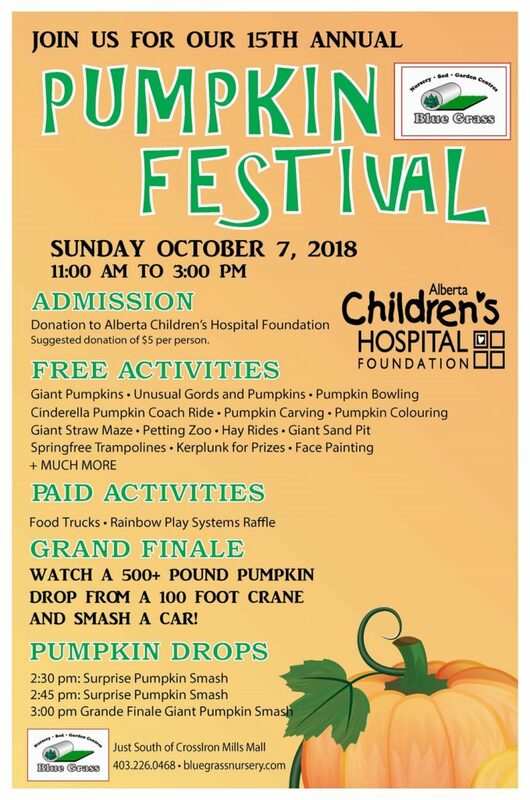 This year on Sunday October 7, we will be sponsoring Blue Grass Nursery’s 15th Annual Pumpkin Festival in support of the Alberta’s Children Hospital Foundation (ACHF.) The event is largely run by volunteers and Blue Grass Employees with the support of numerous businesses and community members. Their goal with each Pumpkin Festival is to host a free, family friendly fall event with lots of unique activities for young and old alike while raising money to support a cause we can all relate to! The Pumpkin Festival has grown from a few hundred people and about $1500 in donations the first year to over 5500 people and $39,260 in donations. The success that this event experiences every year is tremendous, and continues to grow because of the on-going support from our community. Their goal is to continue to produce a bigger and better event every year and increase their donations to ACHF. In recent years, Blue Grass has been honored to have the Alberta Children’s Hospital’s Champion Child at the Pumpkin Festival. The Champion child is a child who has been treated at the hospital and is then elected as a spokesperson to represent the Foundation and help with fundraising efforts. Read below a story about Sawyer so you can understand how events like Pumpkin Festival support the Alberta Children’s Hospital and all the children that use the hospital. couldn’t swallow, and his oxygen levels were dipping. mouth. He began receiving his nutrition through a feeding tube and was eventually discharged home with an oxygen tank. Sawyer’s ability to play with other kids. But in the summer of 2016, after two years of living with a trach, surgeons removed it allowing Sawyer to breathe on his own for the first time! And thanks to a hip surgery to help him walk, Sawyer can now run after his big sister. 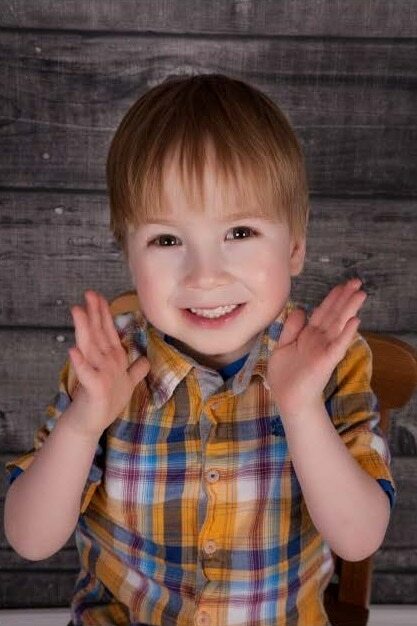 The Kais are incredibly grateful for the Alberta Children’s Hospital that not only saved Sawyer’s life, but has also improved his quality of life. Today, he is a social butterfly who sings and dances every chance he gets!